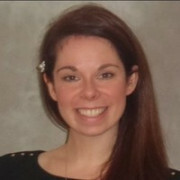 Lucy Buckley PhD, MPharm, MRPharmS is one of the Co-Founders of Dr Fertility. Dr Fertility provides simplified and evidence-based fertility information and fertility products to support people on their fertility journey. Dr Fertility’s aim is to give; a better understanding of the science, education around maximising the chances of getting pregnant and provide support to anybody who wants a baby, no matter who they are, or what their situation is. Lucy is passionate about raising awareness of fertility issues and tackling the fertility taboo, through the provision of accurate online fertility education. Lucy qualified as a Pharmacist in 2005 before completing her PhD in drug discovery. Since then she has had a variety of roles across diverse sectors of healthcare including community, hospital, academia and the pharmaceutical industry before launching Dr Fertility with her business partner Kobi McCardle.